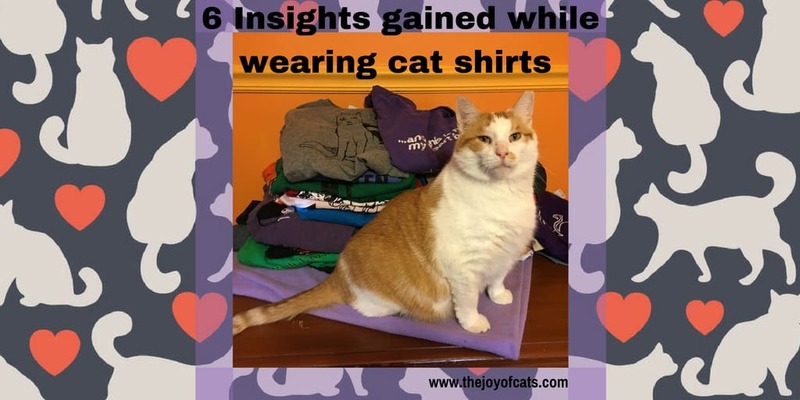 Here are six insights from when I wore a different cat shirt every day in October 2016. The first insight is my favorite as I love cat chats. Some people that saw my cat shirt decided to start a conversation. This happened with friends, family, and random people at stores. I am an introvert and coming up with small talk can be challenge. The cat shirts were an easy opportunity to talk about my cats and for others to tell me about their cats. I love to talk about my cats and others love to share about theirs. I had a cashier at Whole Foods say that he loved my shift on my lunch break. And then proceeded to tell me that his mom has 6 cats! I felt like our quick chat may have been a highlight of the day for him. He smiled and was excited to hear that was wearing a different cat shirt every day that month. Others told me stories about their cats accidentally getting outside. A lady at the bank shared that she once had 5 cats. Several people at stores stopped to tell me that my shirt was cute. On day 0 (September 31), I was wearing my Zombie shirt that says "I will push you in front of zombies to save my cat". We were at a hotel. While waiting for the elevator, A man told me that he agreed with my shirt. Then said that he was living at the hotel for a bit with a cat. He and his cat (and a woman - didn't catch their relationship) had survived a house fire. My favorite color is purple. I have 7 cat shirts that are purple. To my office, prior to October, I wore purple almost every day. The shirts were not all cat shirts, but they were purple. People started to comment on this, saying things like "I almost did not recognize you since you are not wearing purple". This also gave me the chance to talk about cats as I explained that I was wearing only cat shirts for 31 days. I am still bummed that Six Dollar Shirts does not offer purple as a color choice! Scheduling which shirts to wear at the beginning of October, removed the stress/decision making if what to wear each morning. I had the shirts stacked up on a dresser and was able to quickly grab the top shirt and get on with my day. Do I have more than 31 shirts? Yes, I have a few more than 31. I was given a shirt to wear by House of Cat after I had my quota of 31. I also have a Homer T-shirt and Sweatshirt. The t-shirt is a little too snug to wear anywhere. I wore the sweatshirt over my t-shirt on days when I was chilly at home. 5. Ask and people will share their source! Many people on Instagram will tell you wear they got their cat shirt, if you asked. I saw two people post the same shirt within a few days of each other. Turns out it was from a store that does not ship to the USA! I wore shirts from Six Dollar Shirts, Spreadshirt﻿﻿﻿, Society6, Etsy, CatLadyBox, SunFrog, TeeSpring, and a local retail store. Even Six Dollar Shirts at only $6 (or $6.50 for the women's style) were not noticeable of lesser quality than the higher priced shirts. August 2018 update: One of my favorite shirts for Six Dollar shirts is wearing out after only 2 years of wearing it. The design is starting to flake off. So, the long term quality of a $6 shirt isn't the same as the others as I have that cost more. I had fun wearing the cat shirts. Perhaps, sometime I will were 31 purple cat shirts! My top insight was that cat shirts can lead to conversations about cats. People read shirts, making them an easy way to start a conversation. 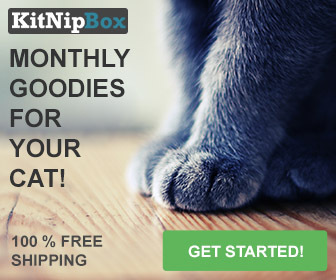 Do you wear cat shirts? What a fun post! I think you’re spot on with #1!